If you're looking for exquisite fresh fruit delivery in Adelaide and surrounding suburbs, you've come to the right place. We exist for one reason - to hand select, hand pack and hand deliver the freshest market-leading, premium quality fruit. 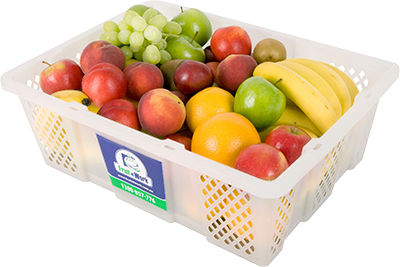 Fruit at Work is proud to provide this premier fruit basket delivery service to offices throughout Adelaide. It's this focus on delivering you quality in every respect that sets Fruit at Work apart. Nothing is more important to us than your complete satisfaction, something which is evident in every fruit basket delivery we undertake throughout Adelaide. Start your Adelaide workplace fruit basket trial today and discover the Fruit at Work difference. 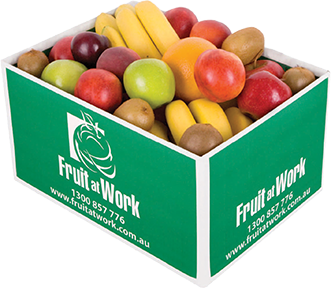 As the most awarded workplace fruit supplier for quality and innovation, Fruit at Work is the only fruit basket delivery service to offer Adelaide offices the best fruit Australia has to offer. What's more, we'll mix it up to match seasonal availability so it's never boring! Choosing the right fruit basket experience for your company is important. No matter what your office size, we personalise the baskets to accommodate your preferred delivery frequency, box size, product mix and pricing. As well as offering best value volume pricing, our Fruit at Work team is on hand to fit the right fruit basket to your Adelaide office’s fruit profile. Simply give us a call and we'll work out your quantity, delivery days, order splits and labelling requirements. It pays to trust the best when you are looking for fruit basket delivery in Adelaide. Contact Fruit at Work to discuss your work fruit delivery options on 1300 246 256 today! No one has matched the quality of our award-winning signature fruit box. This is the most delicious fruit available. The mix changes with the season, but always contains the best bananas and apples as well as peaches, nectarines, grapes, passionfruit, cherries, kiwis, pears, plums and oranges. The corporate selection includes a similar mix of fruit to the signature range, but with less flexibility to choose what goes in the box and slightly smaller pieces. This will be delivered to your office in our bio-degradable, recyclable cardboard box. CURIOUS WHAT TIME OF YEAR YOUR FAVOURITE FRUIT IS AVAILABLE?